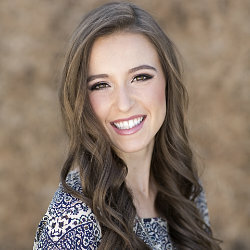 Taylor Ellsworth is from Anthem, Arizona and will graduate from the University of Arizona with a Public Health degree and Spanish minor May 2019. Her interest in Public Health began on a medical trip to Lima, Peru her Freshman year, which exposed her to global health disparities. She hopes to use her degree to pursue either Maternal and Child Health or Nutrition at a nonprofit organization. In addition to her internship at SEAHEC, Taylor is working with the UA’s Women and Gender Resource Center on sexual violence prevention. SEAHEC has inspired Taylor to look more into rural community work – she would love the opportunity to take her skills to Mexico and use her Spanish to connect rural/border communities to health resources.